TOTY TOP 10 Winners Announced! TOTY activities on FIFACOIN.COM came to the end last day. We hope that the cheap coins, free pack vouchers, 10% off TOTY packs, pack ranking were made your TOTY colorful. Thanks for all your support. 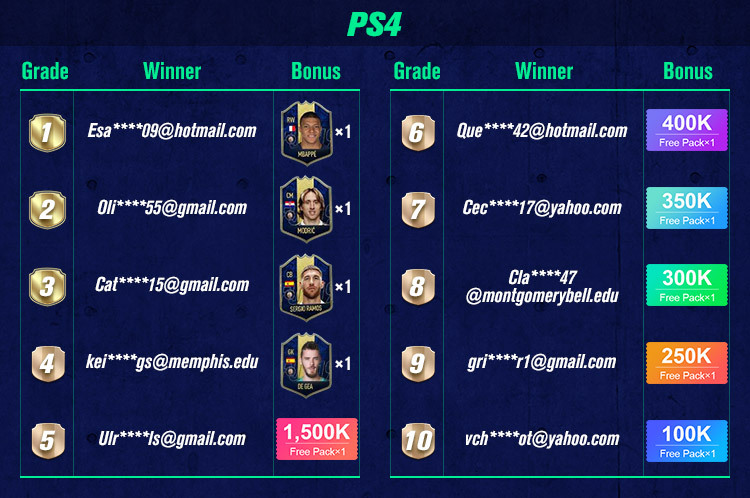 Now it’s the bonus time for PACK RANKING TOP 10 winners on PS4 and XBOX ONE. Congratulations to all the winners. 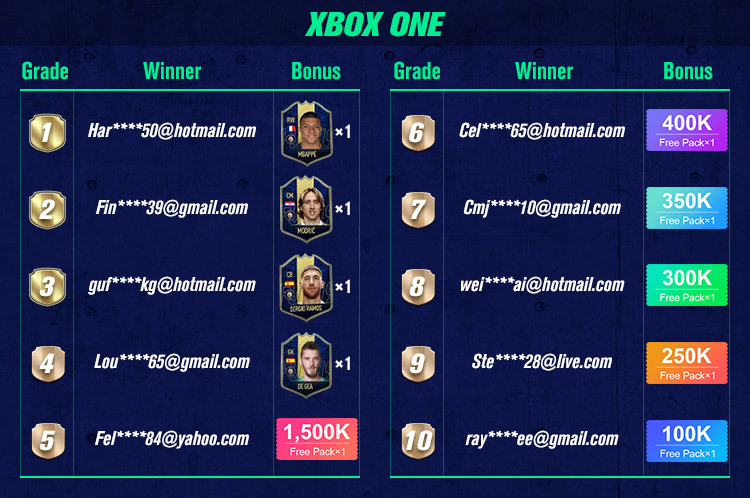 To get player card, please contact our LIVE CHAT and provide them your FUT account information, so that they can send the player card to you.  Free pack voucher was sent to your account, please check “Member Center” -“Packs” - “Free Pack” to use it. New activities will come soon in the near furture, see you there :).